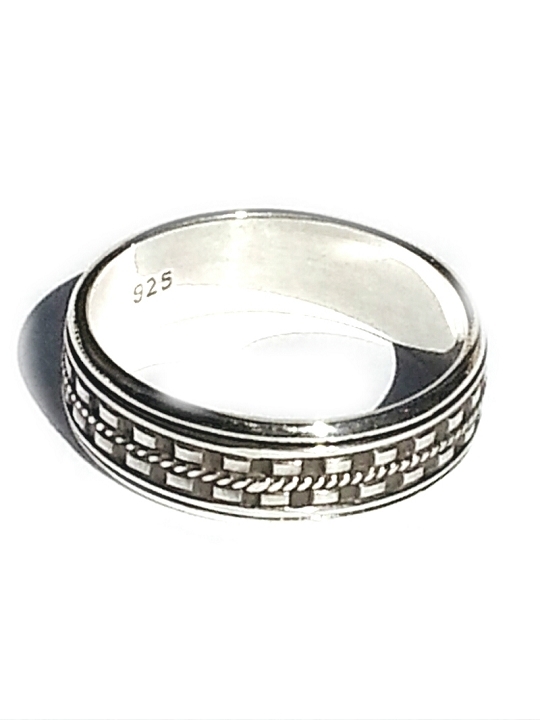 New 925Sterling Silver Bali Dash Edge Twin Center Mens Spinner Ring. The Spinner ring has also been known as anxiety rings, worry rings, prayer rings, and Christian prayer rings. Some believe them to be based on the Tibetan Prayer Wheel. 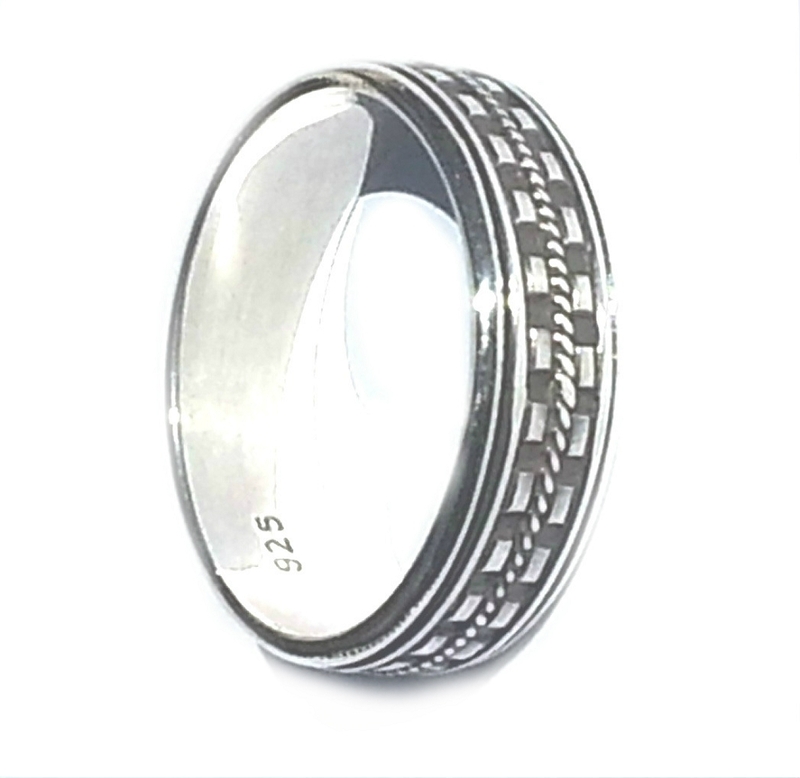 The rings have an outer band which manually spins independently on top of the inner band. It is said that the spinning of the outer band by the wearer can reduce anxiety and worries. There are many designs available.